Scenes from the 2011 USA Basketball Women's U16 National Team's first practice. Following four days of trials involving 115 players at the U.S. Olympic Training Center in Colorado Springs, Colo., USA Basketball today announced the official 12-member roster for the 2011 USA Women’s U16 National Team. The 2011 USA Women’s U16 National Team will represent the U.S. in the 2011 FIBA Americas U16 Championship June 13-18 in Mérida, Mexico. The top three finishing teams at the ’11 FIBA Americas U16 Championship will earn a berth into the 2012 FIBA U17 World Championship (site and date TBD). Players eligible for this team must be U.S. citizens, born on or after Jan. 1, 1995, and the team was selected by the USA Basketball Women’s Developmental National Team Committee. Jordin Canada, 5-6 PG (2014), Los Angeles, Calif.
Kaela Davis, 6-2 G (2013), Suwanee, Ga.
Rebecca Greenwell, 6-1 G (2013), Owensboro, Ky.
Linnae Harper, 5-7 G (2013), Chicago, Ill.
Stephanie Mavunga, 6-3 F/C (2013), Indianapolis, Ind. Erica McCall, 6-3 F (2013), Bakersfield, Calif.
Taya Reimer, 6-3 F (2013), Fishers, Ind. Mercedes Russell, 6-5 P (2013), Springfield, Ore.
Jannah Tucker, 6-0 G (2013), Randallstown, Md. 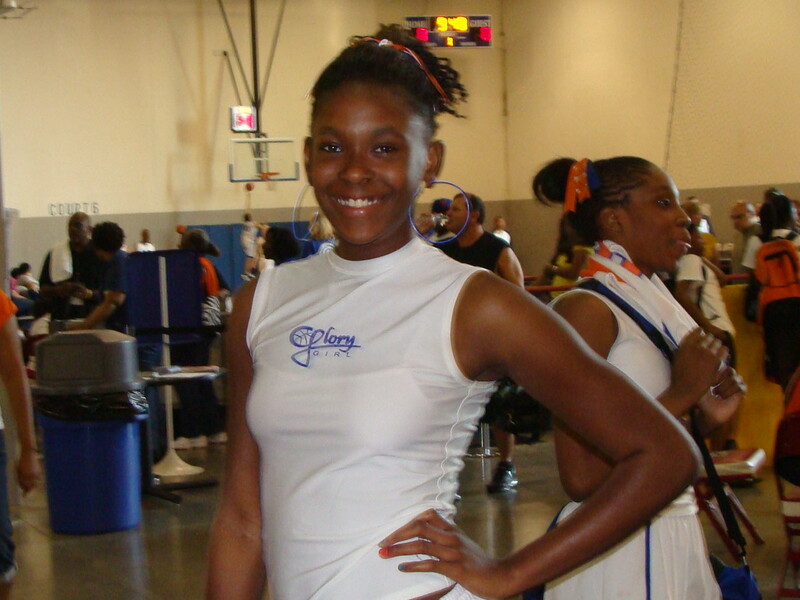 Sydney Umeri, 6-1 F (2013), Acworth, Ga.
Jatarie White, 6-3 P (2014), Charlotte, N.C. The Lady Bobcats(Future)competed this past weekend in their first AAU State Tournament and finished 2nd. The team qualifies to participate in the AAU National Championship which will be held in Clarksville,Tennessee at Austin Peay University July 10-15. The 16-team field for the 2011 Preseason Women’s National Invitation Tournament was recently announced. Top 10 teams Baylor, Notre Dame, and UCLA headline the field that also includes Akron, Chattanooga, Detroit, Drexel, ETSU, Hartford, Howard, Indiana State, Long Island, Manhattan, McNeese State, Tennessee Tech, and UAB. The Preseason WNIT bracket will be announced in June. Team Memphis Elite 14U AAU Tennessee State Champions! 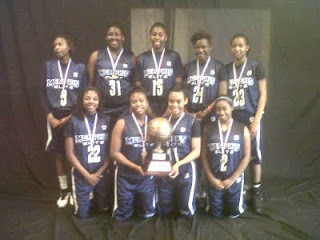 Team Memphis Elite is proud to announce that their 14U team won the AAU State Championship in Franklin, TN on May 22nd. The team, led by head coach Elton Holmes and assistant coach J'malo Torriel, went undefeated and brought the championship trophy home to Memphis in a nail biting championship game that went into overtime against the Tennessee Lady Trotters. Congrats to each of the young ladies on the team: Laka Blache, Takira Clay (not pictured), Olivia Cunningham, Eryn Foster, Kiara Golden, A'Queen Hayes, Minyone Hill, Amber Holmes, Taylor Lewis, and Kairneisha Trent. It is the last week of school in Memphis and that means SUMMER is almost here. This is the best time of the year to workout and work on getting better and adding skills to your basketball game. No school. No home work. Just basketball! I've been receiving a lot of questions on how to improve and work on shooting, ball handling and even confidence. Summer is the perfect time to work on these skills. I've found 3 resources to help you with your shooting, ball handling and confidence. This time of the year also means its time for me to stock up on basketball DVDs. Each year I add at least 4 new basketball DVDs to my library. Why? 1) Because I'm always looking for different drills to use in my training. 2) Since, I'm back into coaching, I'm also looking for new concepts to implement or complement my team. ChampionshipProductions.com normally cost $39.99. During their sale, if you get 4 or more, you can get them for $25 each. You can not beat that.. The Basketball Summer Sale runs til July 1. If you are planning to get some DVDs make sure to Enter Promo Code SS425BB at checkout. Click here for Basketball DVD Sale! DVDs, Videos & Books -- Championship Productions, Inc.
A college coach can’t see every recruit play in person, so creating an effective video is one way to separate yourself from the pack. Since you probably can’t afford to hire Steven Spielberg, we contacted a couple of experts — Tom Luginbill, national director of football recruiting for ESPN’s Scouts Inc., and Rob Porteus, professional videographer and director of video services for University of Wisconsin athletics — for advice on how to make your tape stand out. Here are their tips. The type and style of video you should make depends on the sport you play. “Certain sports are more video intensive,” says Porteus. “The larger the number of scholarships available, the more important video becomes because coaches can’t see everybody all the time.” Football and soccer are examples of this. But with some sports — like swimming, track and field, and cross country — your statistics give an accurate picture of your talent, so videotapes aren’t as important. Before you go out and spend a ton of time and money creating a world-class tape, make sure you understand the needs of coaches in your sport. Christian Brothers University women's basketball coach Sarah Condra is keeping the Memphis talent home by signing 2 more players, Breanna Ridgell and Amber Williams. Breanna Ridgell was an All-District and All-Region player for White Station, winning team MVP honors as a senior. She also earned the MVP award in the MLK Tournament as a senior. Amber Williams, a six-foot forward, led the White Station Lady Spartans in rebounding as a junior and as a senior, earning a spot on the All-District Tournament Team both seasons. She was also named the team's best defensive player as a senior. Breanna and Amber also join former White Station teammate Ty Harris on the Lady Bucs' roster for next season. 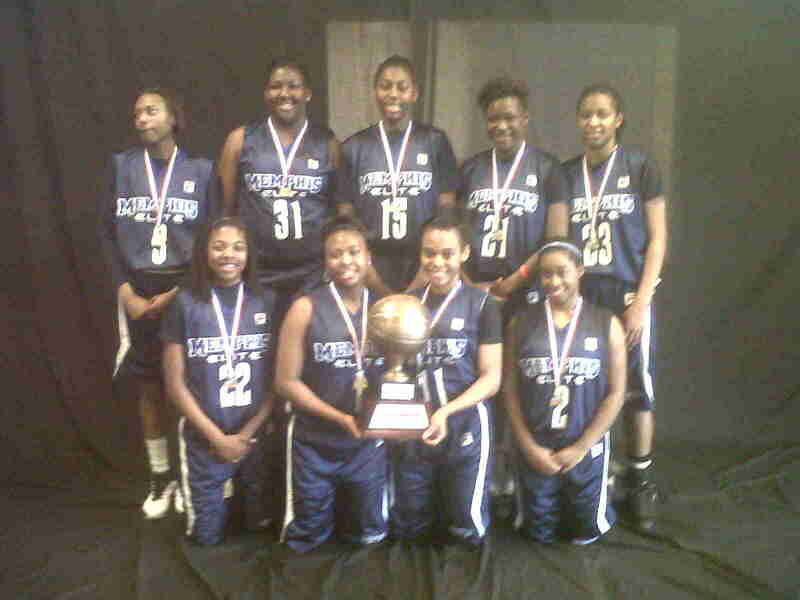 Team Memphis Elite - Daniels won the state championship in the 11th Grade Division. Team Memphis Elite - Holmes won the state championship in the 9th Grade Division. Team Memphis Elite - Little was the runner up in the 11th grade division. Team Memphis Elite - Williams, Team Memphis Elite - Wade and Team Memphis Elite - Bramucchi also participants in the AAU state championships. Ashley Small (White Station) recently signed with the Bethel University Lady Wildcats. 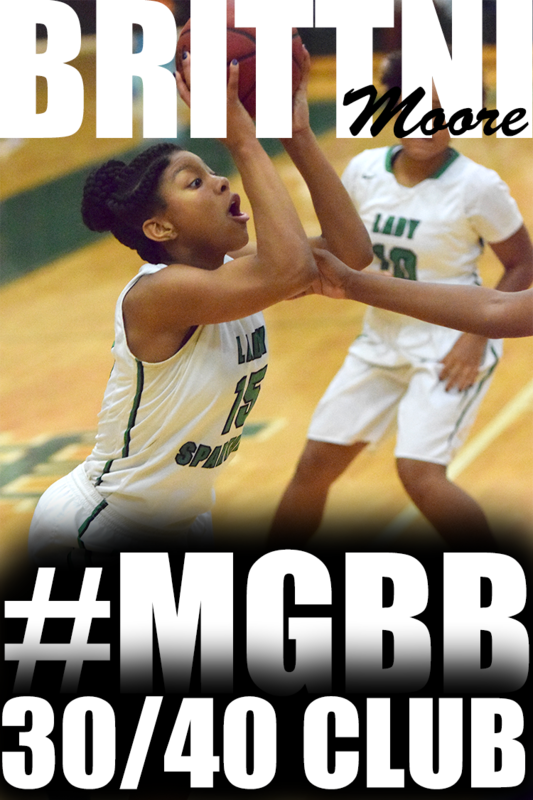 The 5'10 forward was the leading rebounder and voted best defender for the last several seasons at White Station. 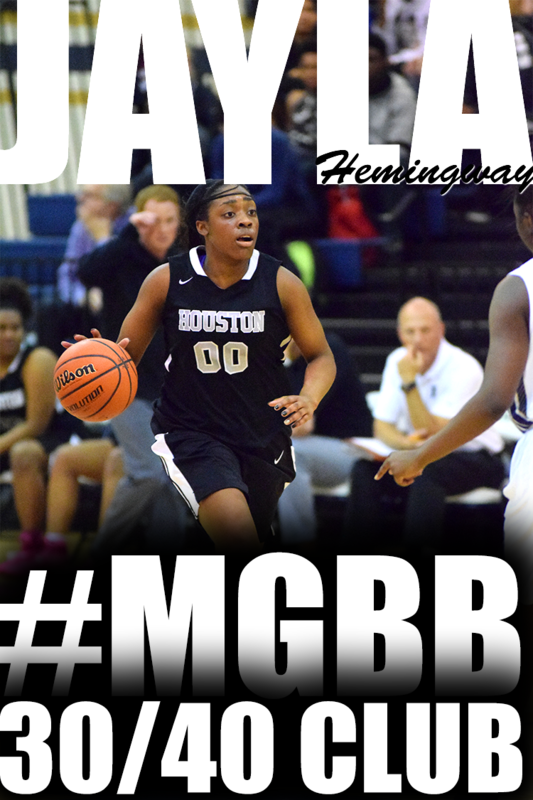 She averaged 11 points and six rebounds as a senior. She chose Bethel because she felt comfortable in her visits and likes the environment at the school. She was also recruited by Southern Miss., CBU, and Southern Illinois. 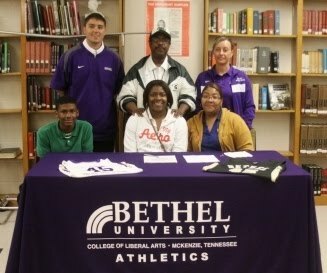 Former Memphis Central standout, Jasmine Taylor, has transferred from Arkansas State and signed with Bethel University. Taylor will be a junior as she joins the program this fall. The 5'10 Guard/Forward averaged 14 points and six rebounds at Central where she was also an honor student. She was All-Region MVP and City MVP her senior year at Central. this week. Taylor will be a junior as she joins the program this fall. Bethel University is a NAIA school located in McKenzie, TN. Top WNBA draft Maya Moore has become the first female basketball player to sign an endorsement deal with the Jordan Brand, a division of Nike Inc. The Oregon-based sportswear business in basketball great Michael Jordan's name announced the agreement Wednesday. "As a student of the game, it is a dream come true to align myself with a brand that has a rich history in sports," Moore said. "Like most kids, I grew up idolizing Michael Jordan and continue to work relentlessly to reach his iconic status on the court. I'm truly motivated to take my career to the next level as a member of Team Jordan." 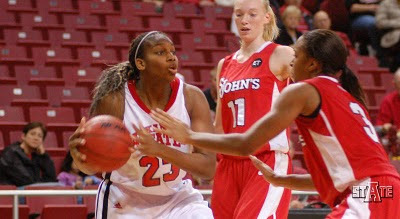 Moore was selected by the Minnesota Lynx out of the University of Connecticut last month. Considered one of the best female players to turn pro in years, she won two national titles at UConn and is a two-time winner of the Associated Press Player of the Year award. She joins an elite level of athletes under the Jordan brand, including Derek Jeter, Dwyane Wade, Carmelo Anthony, Chris Paul and Andre Johnson. "I am thrilled to welcome Maya Moore into the Jordan Brand," Jordan said. 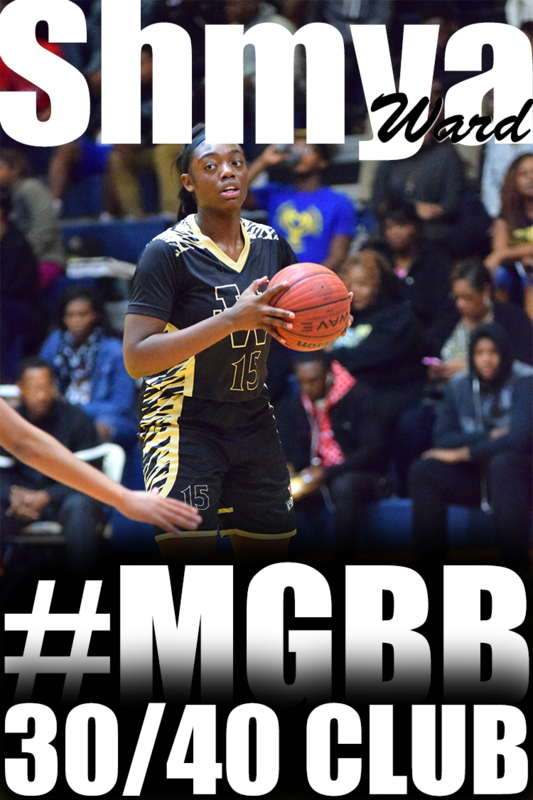 "Not only has Maya proven to be a prolific winner on the court, but her hunger and determination to make an impact off the court makes her a valuable addition to the Jordan family. 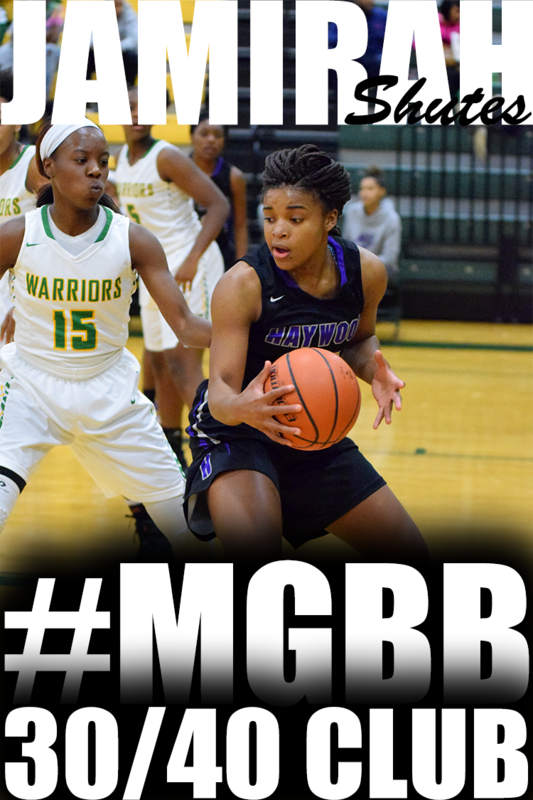 We look forward to working with Maya as she carries her success to the next level." Belmont will become the 12th member of the Ohio Valley Conference on July 1, 2012, and begin competing in the conference in the 2012-13 season. Belmont will be the second OVC school located in Nashville, joining Tennessee State. Belmont competes in 17 sports (eight men’s and nine women’s sports), 16 of which will compete in the OVC (the exception being men’s soccer which is not sponsored by the OVC). The Bruins have competed in the Atlantic Sun Conference since 2001-02 and will compete in its final year in that league in 2011-12 before joining the OVC. The Ohio Valley Conference is expanding for only the third time in the last 15 years and for the first time since 2008 when it added Southern Illinois Edwardsville. With the addition of Belmont, the OVC will include 12 schools from five states. The current members are Austin Peay, Eastern Illinois, Eastern Kentucky, Jacksonville State, Morehead State, Murray State, Southeast Missouri State, Southern Illinois Edwardsville, Tennessee State, Tennessee Tech and UT Martin. If there is a specific college you are interested in attending and you would like to get the womens college basketball coaches from that program to get a look at you, I will tell you how. There is an opportunity every summer to do just that. It may require you to travel, however, I guarantee that you will personally get to meet the coaches and players. It happens during the month of June. I’m talking about the summer camps. Pretty much every major program offer summer basketball camps at there school. They may offer fundamental camps, position camps, team camps and you now hear Elite Camps. The camp you would want to attend is the Elite Camp. Anyone is allowed to attend the Elite Camp, but it is more for highly skilled players and designed to let you display your basketball skills and how you can compete against the best. 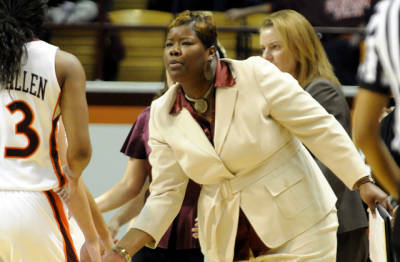 Charlotte 49ers women's basketball coach Cara Consuegra announced the hiring of Angela Crosby as assistant coach. Crosby, who spent the past three seasons as an assistant coach at Virginia Tech, joins Sabrina Gregory and Karen Lange on the 49ers' coaching staff. Crosby has 13 years of collegiate coaching experience after having served as an assistant coach at Appalachian State, Chattanooga, Memphis and Virginia Tech. It's been quite some time since I put up a report and thought the Rage on the River would be a great opportunity to see how our local teams and players would look against some outside competition. I camped out at Southwest Tennessee Community College on Saturday to check out some of the 16U competition. Then on Sunday was at Hickory Hill MB Church to check out the 15U squads. The best looking point guard playing in the 16U division was actually a 10th grader, Shunice Herron (Lady Bobcats - Platinum/Bolivar). She is a game changer type of player. 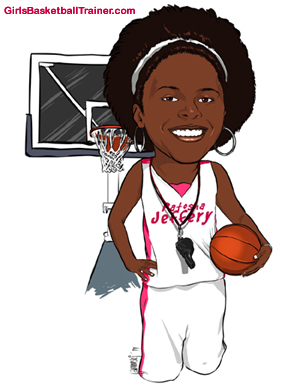 She is an extremely aggressive offensive point guard and keeps the defense on their toes. She can cross over dribble from left to right. However, her favorite and most effective move is penetrating to the right. She keeps her head up looking to get the ball to teammates and can shoot the 3 ball. If she adds penetration to her left, defenders will have an even more difficult time stopping her. Height is something you can not teach and its was some what of a rarity in the Memphis area. But times seems like it is changing. Kelsey Briggs (Team Memphis Elite-Daniels/Munford), Lauren Douglas (Team Memphis Elite-Daniels/Briarcrest), Jalen O'Banion (Lady Bobcats - Platinum/Central) are all over 6'0, possess extremely long wing spans, can play multiple positions on the block and perimeter, has outside shots and can handle the basketball. Team Tennessee Glory - 15U is stacked. It was great to see Jasmine Cincore (Central) back on the perimeter at point guard after playing mostly in the block at Central. She has a strong body build. She can shoot the three. But her most impressive move is her ability to get to the basket going left into a left-handed layup and she is a righty. Ashley Jackson (Ridgeway) got some on-the-job-training at the point position at Ridgeway but with the Glory she is on the wing. And she finds ways to score. Whether going in for rebounds and stick backs, getting steals and layups, of just plain getting fouled and getting to the foul line, she is a worker. Chyna Ellis (Arlington) at over 6 feet is also impressive. I loved her ability to get blocks without making body contact. Her wing span definitely gives her the ability to make her presence known in the paint. She can score around the block area extended, but with added strength, she will be able to stretch her scoring beyond the block. College coaches are already taking notice of the Team Tennessee Glory - 15U players. Offers are already coming through including a recent offer from UAB for Jasmine Cincore, Chyna Ellis and Ashley Jackson. I know this isn't basketball related, but it is Memphis related and it is HISTORY!! Congrats again to Booker T. Washington and its graduates. 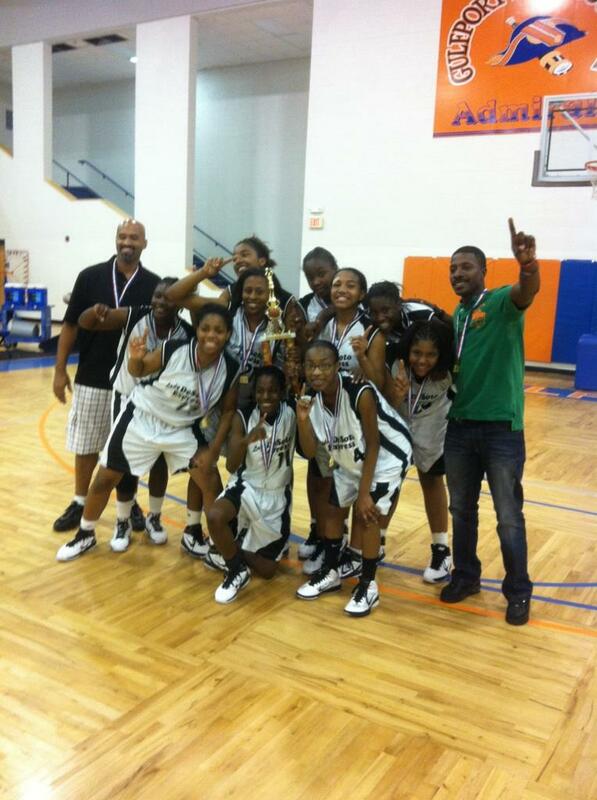 This past weekend the Desoto Lady Express 8th grade team traveled to Gulfport for the Mississippi AAU state tournament. They started out with a Saturday morning loss and had to battle their way thru the losers bracket. They did just that winning 6 in a row and two games by 1 point. Desoto Lady Express won 2 in a row on Saturday and 4 on Sunday, including a championship battle against an unbeaten Edwards Bulldogs. Desoto defeated Edwards but was required to play them again 2 hours later because both teams only had 1 loss. The second game was no problem for the Lady Express and the squad brought the 8th grade AAU state championship to back to DESOTO COUNTY. Patosha Jeffery is pleased to announce the opening of registration for her 2nd Annual End of Summer Shoot Out Tournament. The basketball tournament is a NCAA-certified event sanctioned for Divison 1 womens college basketball coaches to attend and evaluate the talent. Division II, III, NAIA, Junior College and Community College coaches are also expected to attend the event. The End of Summer Shoot Out will be July 28-30, 2011 in Memphis, TN at the Ridgeway Baptist Church Christian Life Center. Last year, the inaugural tournament hosted 14 teams from Tennessee, Mississippi, and Illinois. Nine college coaches were in attendance including coaches from Alabama A&M, Arkansas State, Binghamton (New York), Christian Brothers University, Memphis, Missouri State, Pearl River, Ole Miss, Tennessee Tech and Three Rivers. For information on the End of Summer Shoot Out Tournament, visit www.girlsbasketballexposure.com. Christian Brothers University women's basketball coach Sarah Condra has announced the signing of Briarcrest Christian School forward Taylor Pugh to a National Letter of Intent to join the Lady Bucs this winter. Pugh led Briarcrest to the Division II AA state championship game as a senior, posting game-highs of 15 rebounds and four blocks in a 55-50 loss. 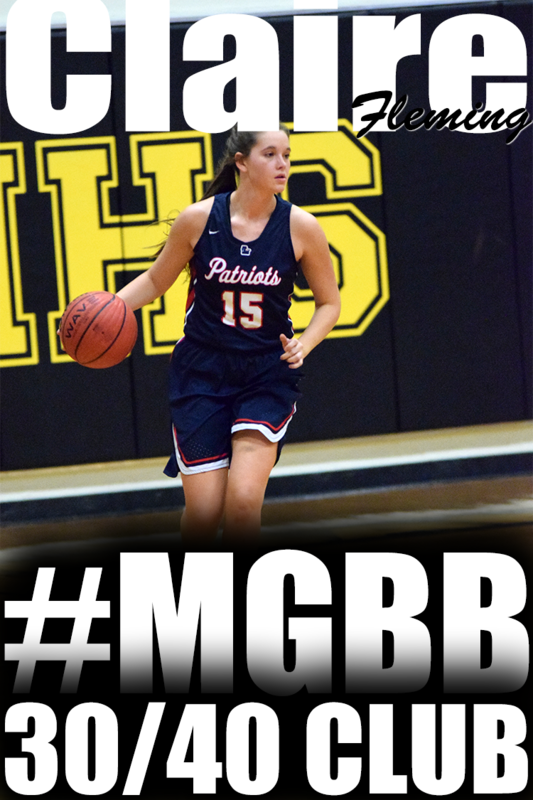 She averaged 10.7 points per game for the season, leading Briarcrest to a 24-6 record and a Division II AA West Region title as a senior, their second consecutive regional title. 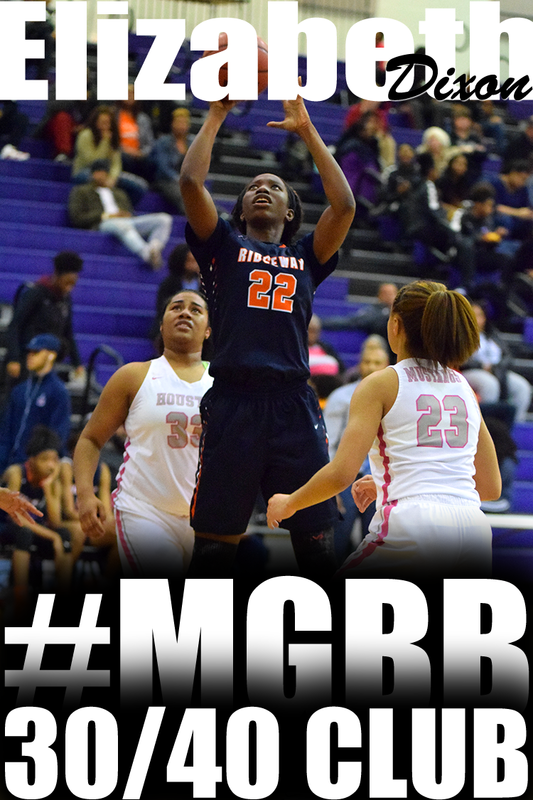 She was nominated for the McDonald's All-America team as she set a school record for rebounds in a season. 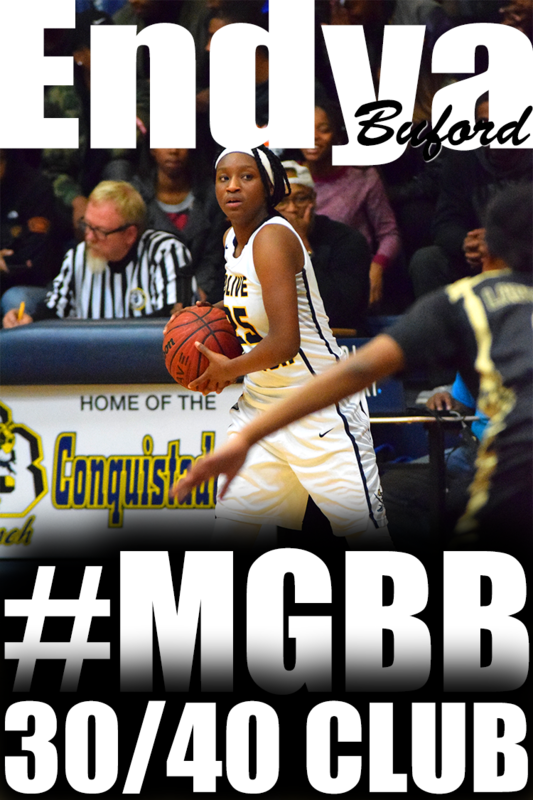 Pugh will join fellow Briarcrest alum Caitlin House on the Lady Bucs' roster next season. Kaitlin Murphy (White Station) was the leading scorer for Furman University and received the team's co-MVP for the season. She is the all-time 5th ranked Furman women's player for assists in a season with 122 for the 2010-11 season. 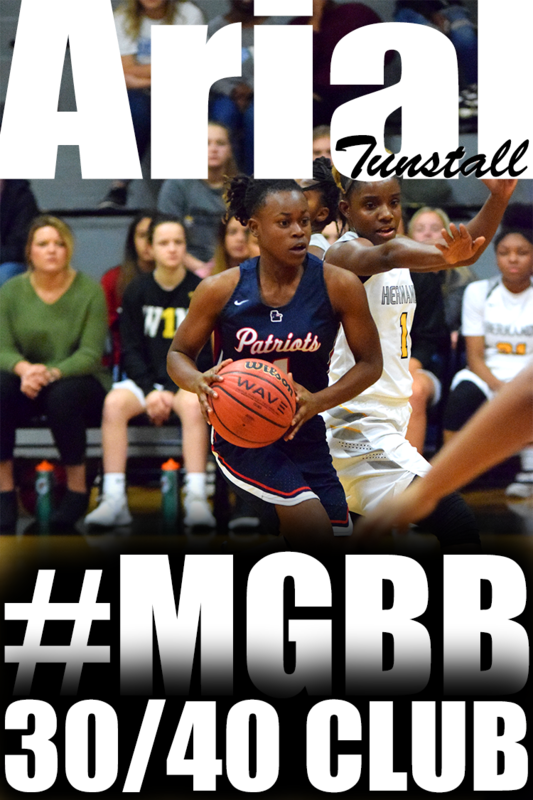 She averaged 13.2 points per game and was second in the Southern Conference with 83% from the charity stripe as the starting point guard. Sunday’s championship games in the girls’ high school division were a series of barnburners as we had one double-overtime game, one single overtime game and another one that went right down to the wire. 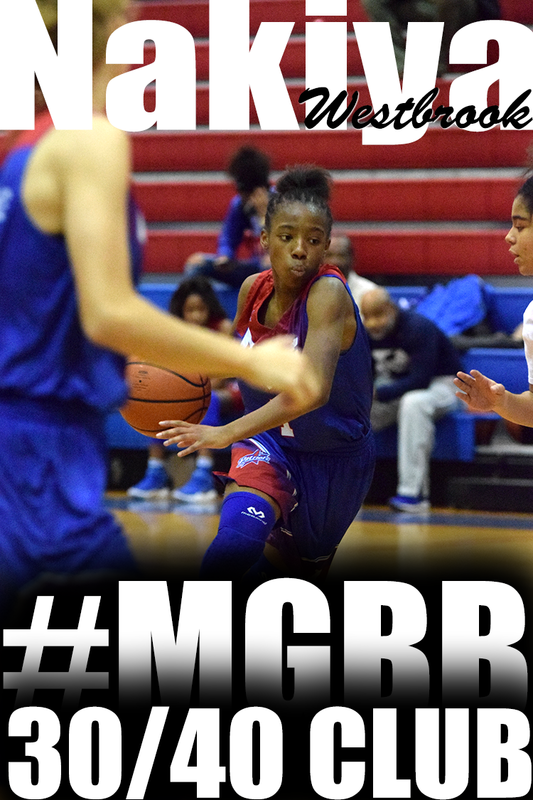 Excitement was the order of the day at McCluer North on Sunday. The finals of the High School Red Division (17U) was a showdown between Team STL Adidas against the Memphis Lady Bobcats. The visitors from the Mid South left town with a 56-51 victory in a game that featured several major shifts in momentum. Team STL Adidas took control of the game in the first half and led 25-15 at one point. The Bobcats outscored Team STL Adidas 27-10 at the end of the first half and the beginning of the second half to take a 42-35 lead. ........ In the other semifinal, the Memphis Lady Bobcats defeated the Missouri Impact 48-46 on a last-second basket by forward Jalen O’Bannon. The 6’0” O’Bannon rebounded a teammate’s missed free throw and scored on a short turnaround jumper in the lane with two seconds left. Cage scored 13 points to lead the Bobcats while post player Kiera Adams added 11 points. Prentice Beverly is editor of BamaPrepGirls.com, a scouting website that covers Alabama. He is the author of Navigating the Maze Grassroots Reference Guide to Women's Basketball College Recruiting. He coached on the club circuit as well as the high school level for over 15 years. Lisa Bodine is a national evaluator for ESPN HoopGurlz. A native of Queens, N.Y., she began her coaching career in 1993 with the NY Gazelles, has coached with D.C.-based Team Unique, and in 2009 she was named DAC Co-Coach of the Year after leading Wakefield Country Day School in Flint Hill, Va., to its first-ever conference title. She can be reached at lisa@hoopgurlz.com. 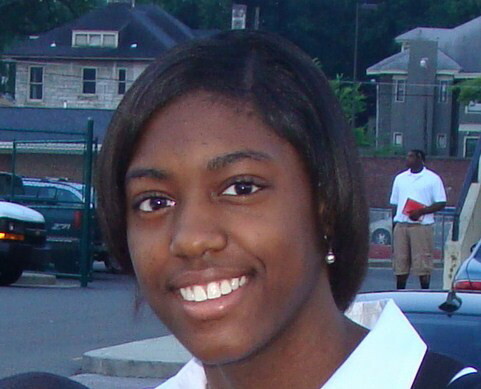 Brandon Clay is a contributor and national recruiting analyst for ESPN HoopGurlz. He is also the publisher of the JumpOffPlus.com National Scouting Report and the owner of Peach State Basketball, Inc. Clay has been involved in the community since 2001 as a recruiting analyst, event operator and trainer. He can be reached at bclay@peachstatehoops.com. Chris Hansen is the national director of prospects for ESPN HoopGurlz and covers girls' basketball and women's college basketball prospects nationally for ESPN.com. A graduate of the University of Washington with a communications degree, he has been involved in the women's basketball community since 1998 as a high school and club coach, trainer, evaluator and reporter. Hansen can be reached at chris.hansen@espn.com. Mark Lewis is the national recruiting coordinator for ESPN HoopGurlz. Twice ranked as one of the top 25 assistant coaches in the game by the Women's Basketball Coaches Association, he has more than 20 years of college coaching experience at Memphis State, Cincinnati, Arizona State, Western Kentucky and, most recently, Washington State. He can be reached at mark@hoopgurlz.com. 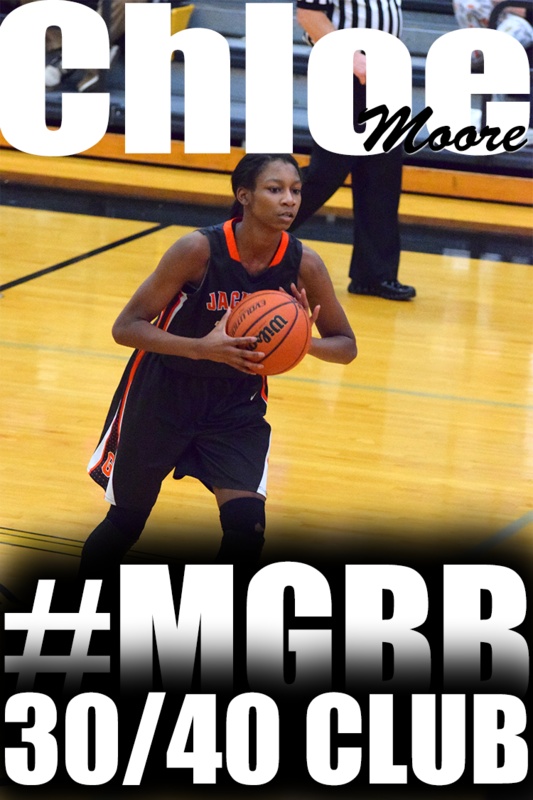 Keil Moore is a contributor and national recruiting analyst for ESPN HoopGurlz. He is also the Director of Scouting for the JumpOffPlus.com National Scouting Report - a division of Peach State Basketball, Inc. Moore has been involved in the community since 2007 as a recruiting analyst and trainer. He can be reached at kmoore@peachstatehoops.com. Glenn Nelson is a senior writer at ESPN.com and the founder of HoopGurlz.com. A graduate of Seattle University and Columbia University, he formerly coached girls' club basketball, was a co-founder and editor-in-chief of an online sports network, authored a basketball book for kids, has had his photography displayed at the Smithsonian Institute, and was a longtime, national-award-winning newspaper columnist and writer. He can be reached at glenn@hoopgurlz.com. The coaching carousel has been busily turning over the last few weeks, with one of the more high-profile moves coming at Southwind. Stan Gatlin is the new girls basketball coach, replacing Surina Dixon. "It's a very good atmosphere here," he said. "The facilities are awesome and those kids seem to be really hungry for improvement." Gatlin spent the past six seasons at Millington, where he rebuilt a traditionally strong program that had fallen on hard times. The Lady Trojans went 4-29 in the year before Gatlin's arrival. But under his leadership, Millington went 159-46, winning four District 14-AAA titles, three district tourney crowns and three regional tournaments. Millington also made four straight substate appearances and finished runner-up in the 2008 AAA tournament with a 37-2 record. "It was my decision to leave (Millington)," he said. "It's something that I had been thinking about. I felt like I had pretty much done everything I needed to do there and it was time to move on. "They have a good situation there with (6-3 junior-to-be) Tiara Caldwell and some nice young girls coming up." At Southwind, Gatlin won't be tackling such a big reclamation project. The Jaguars have won 19 games in each of the past two seasons while competing in a very competitive District 15-AAA. "It's a good situation to come in to," he said. "I'm going to push them as much as I can." Team Tennessee Glory recently traveled to St. Louis to participate in the 4th Annual USJN Gateway Challenge. Several players were recognized for their performances by making the All-Star team. Katelyn Butler-Morris, Germantown High School senior shooting guard, signed with Berea College. Berea College is distinctive among institutions of higher learning. Founded in 1855 as the first interracial and coeducational college in the South, Berea charges no tuition and admits only academically promising students, primarily from Appalachia, who have limited economic resources. Berea’s cost of educating a student exceeds $23,000 per year. Katelyn will attend Berea College this fall on a full scholarship where she will contribute a great deal to the lady mountaineers basketball team. 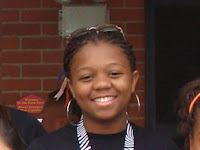 She will major in biology/ Pre-med. and later pursue a career in medicine where she will practice anesthesiologist. A couple of weeks ago, Coach T assembled a gym of over 50 girls and 10 college programs including Mississippi Delta, NW Mississippi, Pearl River, North Alabama, Blue Mountain, Williams Baptist, Three Rivers, SW Baptist, East Central Community College and Mid South Community College. Coach T will be doing it again this Saturday. If building a basketball program is anything like building a house, Florida women's basketball coach Amanda Butler could have a foundation laid by the end of the week. The first step came Monday afternoon with the verbal commitment of Boone County (Ky.) High School's Sydney Moss. Moss, the daughter of NFL Pro Bowl receiver Randy Moss, may be the best recruit in Butler's time at Florida. 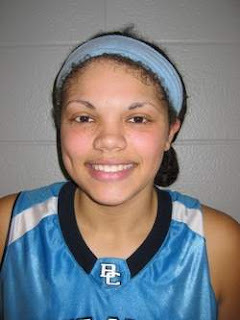 The 5-foot-11 junior forward is considered by many the top 2012 player in the state of Kentucky. She juggled offers from Kentucky, Louisville, UCLA and West Virginia before deciding Monday to become a Gator. Friday was a "bittersweet" day at Ridgeway, as girls basketball coach Tonya Willett broke the news to her team that she was leaving coaching after six years at the school. "I know that (principal) Mr. (Jim) Long is going to put someone awesome in my place," she said. "I told them to just stay where they are ... I'm always going to be for Ridgeway basketball. "I've been around basketball since I was 12 years old and it was definitely a hard decision. I feel like I've done a great service to basketball and I'm looking forward to doing great things in the future." Willett, who is planning to concentrate on teaching with an eye toward eventually going into school administration, went 20-9 this past season and leaves with a career mark of 122-51. Long said a search for a new coach would begin immediately and that the school hoped to have one in place in time for the beginning of summer workouts. While there was lots of success on the court, Willett is also very proud of her track record of sending a high percentage of her seniors on to college, from juco to Division 1. She said she learned that from her days as a player at Northside under Donald Holmes. "If you played under coach Holmes and you had the academics and some type of athletic ability, he'd find a school for you," she said. "I've always been keen on getting girls into school." The Lady Bobcats traveled to Chicago during the Spring evaluation period and participated in the 6th Annual USJN Windy City Classic. Several of the players were recognized and picked for the All Star Team. How to get a women’s college basketball coach to notice you instantly, TODAY! Women’s college basketball coaches want to know who you are. They are begging you to contact them. They are begging you to provide your personal, academic, and athletic information. They are begging you to fill out a prospect questionnaire. Filling out a school’s prospect questionnaire let’s them know that you are interested in their college basketball program. Here are the steps to access a prospect questionnaire. 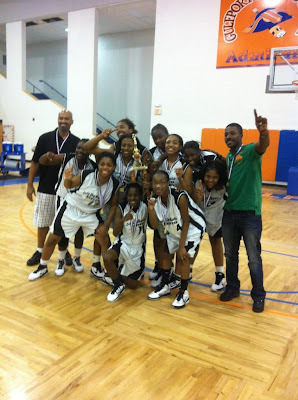 TEAM Tennessee Glory had a great showing in the 2011 Peach State Tip-Off Classic with the Team Tennessee Glory 15 winning the Green division. A couple of individual performances did not go unnoticed either. PeachStateHoops national evaluators, Stephen Peck and Johnathan Hemingway, had this to say about Victoria Lewis and Chyna Ellis. Victoria blasted onto the court of Joe Marelle Gymnasium early Sunday morning with a flurry of spin moves and behind the back passes. This lanky, long armed shooting guard looks unassuming when she goes through the lay-up lines in pre-game, but she makes a name for herself when the tip goes up. She still needs to physically mature. Nevertheless, Lewis has all the tools to be legitimate prospect for years to come. She can handle it, shoot it, and even has a flair for the spectacular. We look forward to watching Victoria come back to many Peach State events in the future. Chyna's long thin frame and athletic ability make her a very diverse player. 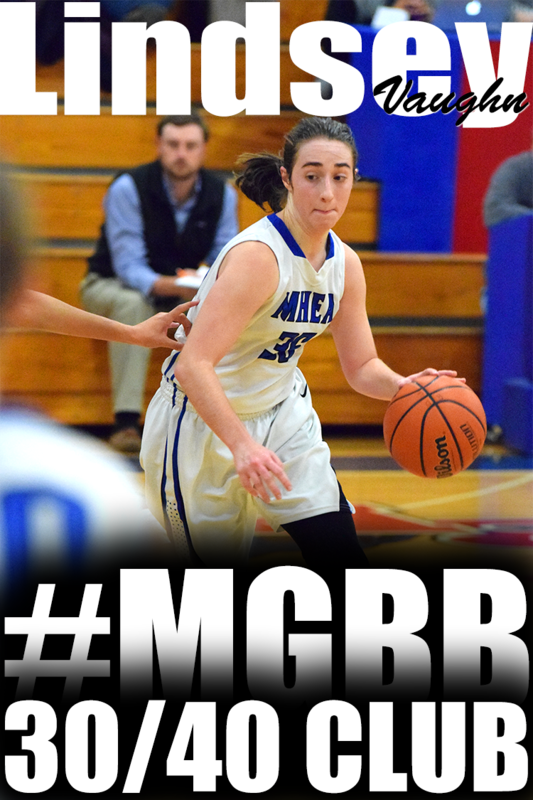 She has good touch around the rim and the ability to finish without putting the ball on the floor. Despite her thin frame, Ellis will mix it up with players that out match her in size. She is deceptively strong. To be successful at the next level, Chyna will need to have more control of her game. Her aggressiveness is an asset, but she needs to fine tune that aggression, and play more efficiently. She has good footwork on both ends and when she gets to the line, has good touch/form on her shot.